We welcome Breaking Bad artists and vendors! 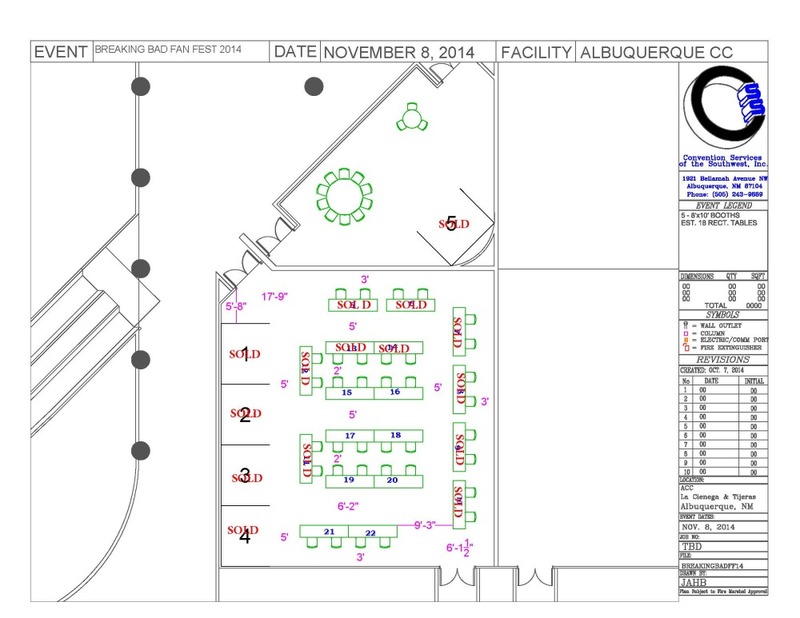 Tables and booths will be in the vendors area (La Ciniega & Tijeras rooms). Choice of placement available on a first come basis. You will be asked to choose which specific table(s) or booth(s) you would like after your purchase. Please note that the number of tables and booths available are limited and subject to approval via application process. Please fill out following form using the "APPLY" link below and you will be contacted with information on how to complete your purchase. Questions? Email us at BreakingBadFest@gmail.com. After you are approved, we will email you a promo code and instructions for completing your purchase. You will need to enter the promo code you received in order to pay for your vendor table/booth using the link below. Please email us at BreakingBadFest@gmail.com if you are having any difficulty purchasing your table with the promo code or have any other questions. One 8' x 30" table with black table cloth and two folding chairs. Price includes table set up and take down at close. Booths include the following, and price includes table set up and take down at close.